When I lived in Barcelona a few years ago my Spanish roommates told me that the easter celebrations in Sevilla is a great experience. I never had the time to go back then, but last year Stephanie and I decided to rent a car and go to there and see what all the fuss was about. I must say that it was a very interesting experience. I’ve never seen anything like it. 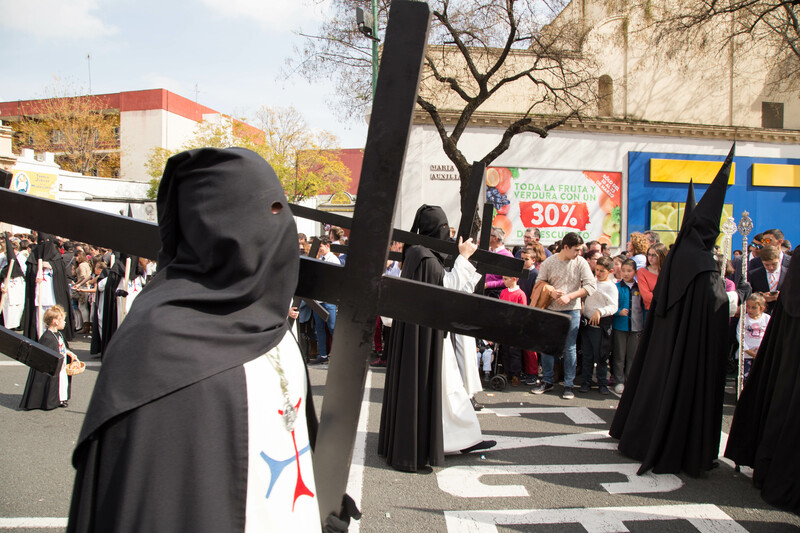 A very christian celebration called the Holy Week in Seville (Semana Santa de Sevilla). It is one of the city’s two biggest annual festivals. It is celebrated for a whole week leading up to Easter (Holy Week among Christians). The festival features the procession of pasos (Paso: an image or set of images set atop a moveable float of wood). It was a very different way to celebrate Easter. Normally we spend the time with our families and eat eggs and search for easter candy. More about this later.